NEW! Bringing the convenience of Printable Planning's organizational tools to you in printed published books. These published books take the benefits of some of the organizational tools and some new ideas, too, and has them published in printed books that you can purchase through the convenience of Amazon. 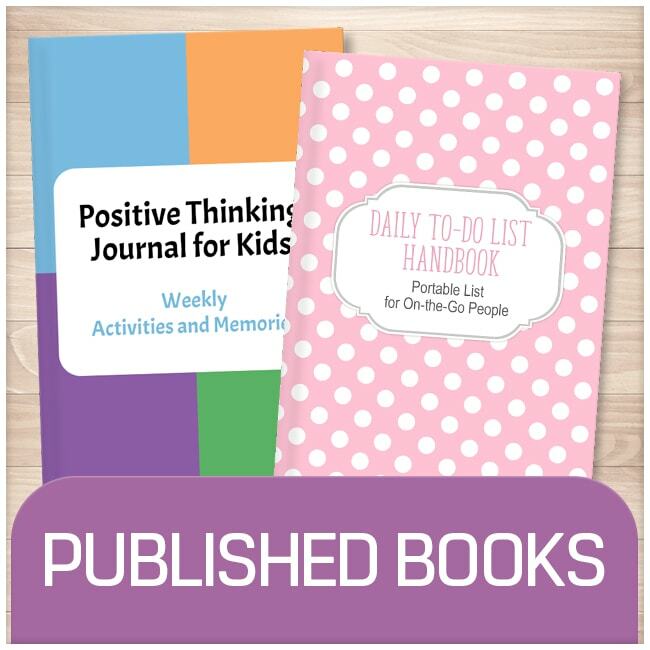 Current books include to-do list books, a username and passwords book, and a positive thinking journal for kids that will last them the entire year! New books will be added as they're published. • Professional printed and bound books. • Each book has a button that takes you to where you can buy it on Amazon, utilizing the convenience and quick turnaround that Amazon has to offer. • Author: Amy Sagan, the designer at Printable Planning.